Oh Yeah! "Macho Man" Randy Savage, Miss Elizabeth and Jesse Ventura in 1983. Be honest -- which of these three sparklers from 1983 would you have pegged to be the future governor of Minnesota? 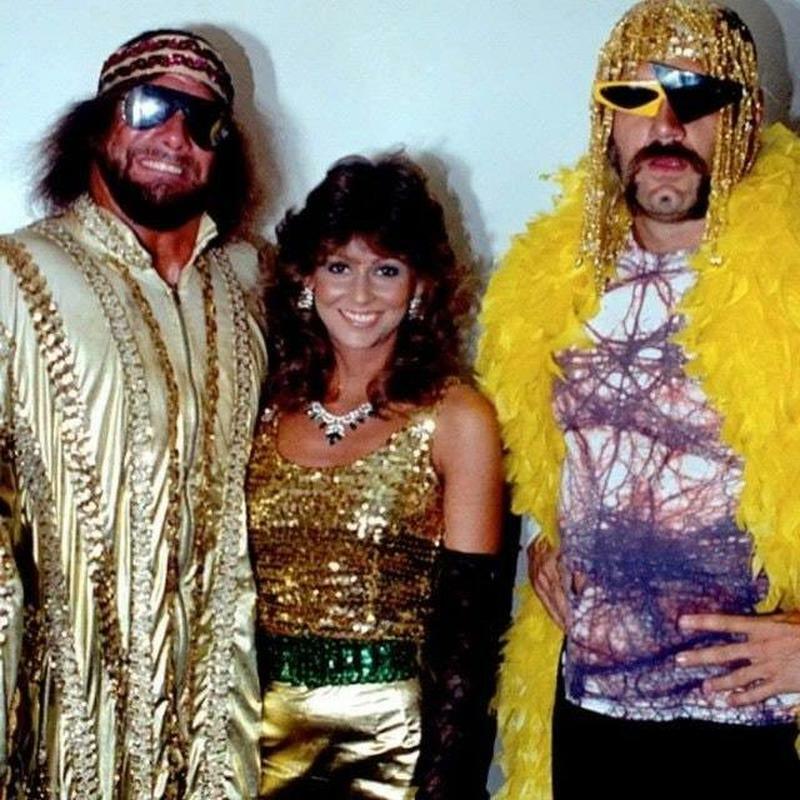 History tells us it was Jesse "the Body" Ventura (at right), and not Randy "Macho Man" Savage or the lovely Elizabeth "Miss Elizabeth" Hulette. Randy and Elizabeth would marry the following year, and she would later debut in the WWF as Macho Man's mysterious, glamorous manager. Sadly, neither Macho Man nor Elizabeth are with us today. Ventura, who served one term as governor and has since remained a popular political figure, occasionally floats the idea of a bid for the U.S. presidency. That seems far-fetched, as American voters would never make a crass TV blowhard the leader of the free world.